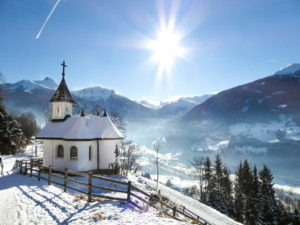 I’m chatting with Ivan Yates on The Hard Shoulder today about a ski holiday in Austria and some unusual benefits of taking a trip to the Gastein Region. 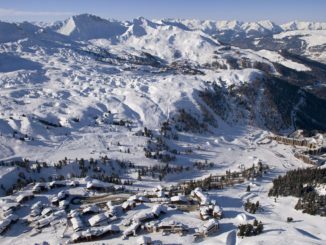 It’s not too late to book your ski holiday. 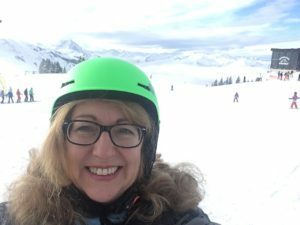 Don’t be put off if you’ve never been before because picking Austria as your ski destination means there will be plenty of other things to do. After my recent stay in Gasteinertal and the beautiful Tirol – I can’t wait to go back there. For all the family there are wonderful activities such a sledging and Snow shoeing which I tried for the first time this year. 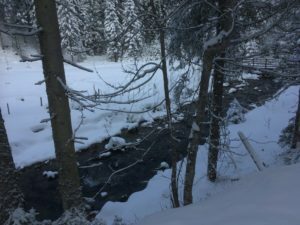 While walking through the woods I enjoyed taking in the scenery and the sound of the babbling river enhanced this meditative pleasure. Snow shoes are like plastic tennis rackets that fit over your boots and make a walk through the snow easy. 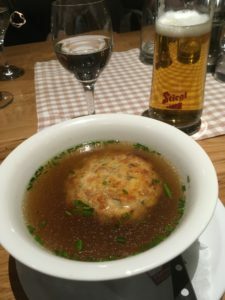 Food is healthy and hearty in Austria to prepare you for the outdoors lifestyle and very popular are dumplings. the local beer, Stigel, has been brewed since 1492 and if you want a day off the piste you can enjoy learning about it at the museum in Salzberg which is close to the airport. 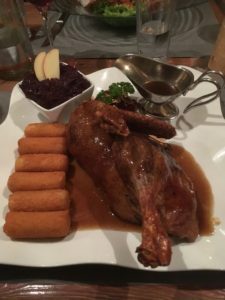 And when you order duck – make sure that you’ve worked up an appetite because portions are enormous. 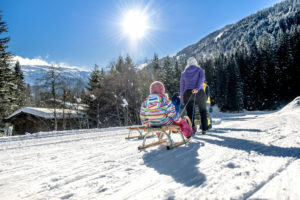 And if you do want to learn how to ski and have little ones with you, then Angertal is the place to go – a short bus ride from the resorts of Bad Hofgastein and Bad Gastein, the kids school is exceptional and will take them for up to five hours per day. The nobel gas Radon has been used to treat pain in joints and the spine and is absorbed through the lungs to heal the entire body. Experiences are what living is all about. And when it comes to “experiences”, that’s something that Gastein Valley does really, really well. Experience authentic, deeply rooted traditions along with modern art. Or feel invigorating thermal water on your skin. Live out all of your sporting ambitions. And so much more, since the variety of Gastein Valley leaves nothing to be desired. Do you love hiking across lush green meadows and stopping for refreshments at a rustic mountain hut along the way? Or are you always the first on the mountain, anxious to clock as many kilometers on the pistes as you can during the day – with the fresh mountain air in your nose and the glistening snow beneath your skis? Perhaps you are a true gourmet, or love nothing better than hearty regional cooking. In Gastein Valley, the possibilities truly are endless. Simply put your feet up, read a good book, savor the atmosphere and the scenery. Indeed, it was as if Bad Hofgastein were created just for this, too. 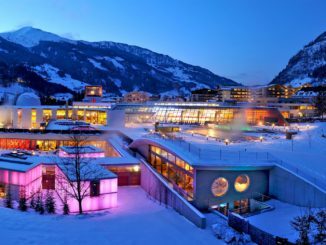 When it comes to relaxation, Alpentherme Gastein leaves you wanting for nothing – try out Relax World or Sauna World – the minute you step into this Alpine world of glorious water, it’s as if you are slamming the door right in the face of that tiresome daily grind you left back home. Many guests come to Gastein to escape their hectic routine and re-energize, harnessing the valley’s natural remedies as a form of prevention. 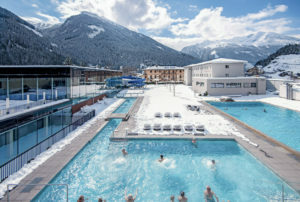 There is good reason why Gastein thermal water has had a reputation as a “fountain of eternal youth” for far longer than anyone can remember. The bottom line is quite simple: An improved, stronger immune system helps you to cope with the countless challenges of daily life far easier. 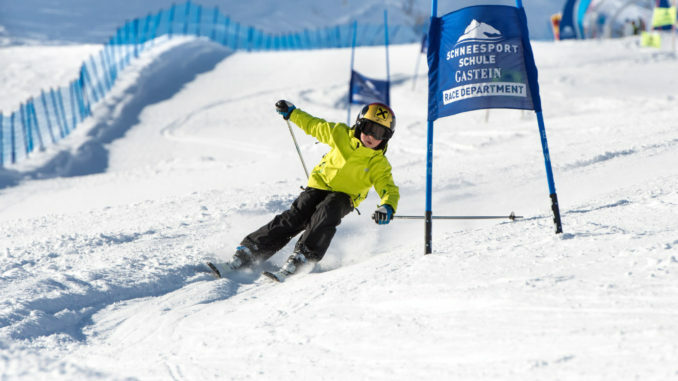 Insurance – make sure that your policy covers winter sports for all those travelling – if you have an annual package then winter sports can be added for about €20. This includes a lift pass, ski & boot hire and ski hire. These bundles are designed to make things easy. 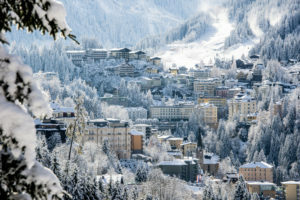 To soak up winter in the Austrian Tyrol perhaps one of the best known is the town of Kitzbuhel. With about 8,000 inhabitants and an area of about 58 sqkm, Kitzbühel combines all advantages of a small town, characterised by its idyllic position in the heart of the Kitzbühel Alps. “Chizbuhel” has been mentioned for the first time in the 12th century and its name derives from “Chizzo”, a Bavarian clan, and “Buhel”, which indicates the position of the locality on a hill. However, a lively past and a 700-year history characterises the small town and its surroundings. The Hahnenkamm mountain might be a household name for you, because this is where every year an important alpine skiing competition is staged: the Hahnenkamm race. However, not only the legendary “Streif” slope attracts ski fans, as the Kitzbühel – Kirchberg skiing area includes a total of 215 km of ski slopes that can be discovered day by day. Moreover there are numerous cross-country ski tracks and winter hiking paths. 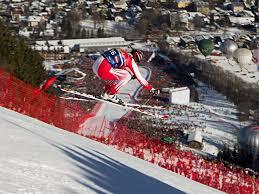 Also a couple of famous people come from Kitzbühel, as for example the former ski racer and singer Hansi Hinterseer or Klaus Sulzenbacher, a former athlete of Nordic combined. 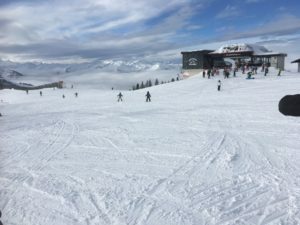 Our recommendation: a ride with the lift facility that connects the skiing areas Hahnenkamm-Pengelstein and Jochberg-Resterhöhe. This lift facility is known under the name “3S-Bahn” and it is the funicular with the highest ground clearance (400 metres) worldwide. Really exciting! 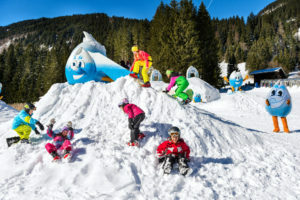 Check out these spectacular ski deals in January https://www.topflight.ie/go/ to Austria. 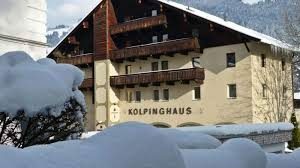 Located in the heart of beautiful Kitzbühel, the Kolpinghaus Apartments are great value and a great choice for those looking to ski one of the best regions in Austria. Ideal for larger groups, couples or families, the range of apartment sizes are designed to accommodate 2 to 6 people sharing comfortably. Balcony rooms offer spectacular views of the area on the mountains and the idyllic town. All apartments are warm and spacious with great cooking facilities including cooking hobs, utensils, microwave, and all apartments have a coffee machine. So it’s ideal for eating in! The apartments are located just 2 minutes from the centre and the picturesque historic city centre and pedestrian zone, so near the shops, a huge variety of restaurants and local bars. The closest ski lifts – the Hahnenkammbahn and Hornbahn are just 400 metres away. The ski bus stop is just around the corner, buses running frequently to all the major ski lifts in the Kitzbühel/Kirchberg region. The beautiful four star Mondi Holiday Bellevue combines the comfort of an apartment with the facilities of a four star hotel. 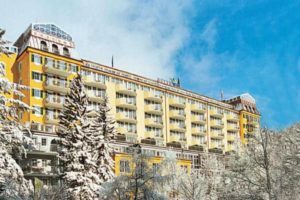 The Mondi Holiday Bellevue is the perfect accommodation for your ski holiday to Bad Gastein. It blends the comforts of an apartment with the conveniences of a four star hotel. Modern, cosy and warm – these apartments will ensure that your ski holiday to Bad Gastein is of the highest quality. The Mondi Holiday Bellevue offers genuine hospitality and friendly service. There’s an abundance of fun activities on offer for guests, with plenty of games, sport and wellness facilities available. The apartments offer you a home-from-home atmosphere. All apartments have a fully equipped kitchenette, safety deposit box, cable tv, radio and telephone. Almost all apartments have a balcony or patio with a view of the surrounding mountains. The wellness and spa area of the Mondi Holiday Bellevue offers a range of relaxation facilities. With a large swimming pool, a relaxation room, a Finnish sauna, steam bath – you will be spoiled for choice. This is the perfect place to unwind after a challenging day on the slopes. Enjoy a stay at the luxurious four star Alpenparks Residence in Bad Hofgastein. 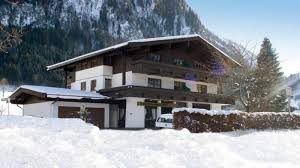 The Alpenparks Residence offers classy, luxurious accommodation for your ski holiday to Bad Hofgastein. These stunning holiday apartments are located at the start of the pedestrianised area of Bad Hofgastein, with just a few minutes walk to the centre of the town and the Alpentherme Spa. The ski bus stops less than a minutes walk from the hotel, so you won’t have far to go in the mornings. 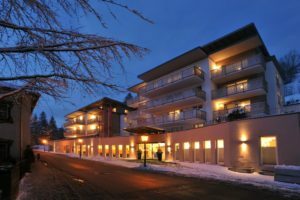 The Alpenparks Residence apartments are large, spacious and bright. The apartments all have a large balcony or terrace, with breathtaking alpine views sweeping across the Gastein Valley. Free WiFi is provided throughout. The Alpenparks Residence is self-catering and all of the apartments are equipped with a modern kitchen. If you’re not in the mood for cooking the Alpenparks Bistro, a bar on the ground floor, offers culinary delights for breakfast as well as a tasty après-ski drinks menu. Final Cleaning costs are payable locally: 85euro – 100euro (depending on apt type), payable on departure. Cleaning with change of bedlinen/towels at other times on request and payable locally. Maybe you would like to go on an Italian holiday this summer! As you know Italy has such a diverse range of holiday options to suit everyone from the culture vulture, the beach enthusiast, the family or the romantic couple. Maybe a cruising adventure, a ski holiday or soaking up the sun on an idyllic island is more your thing, the Topflight sale had got it all! 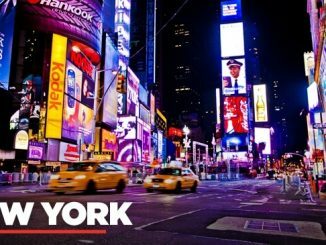 All prices include return flights, accommodation for 7 nights (based on 2 persons sharing, unless otherwise stated), return transfers, all taxes and the services of a Topflight Representative in resort.